I tell others to add soil (although not crucial) to their worm bin only when starting a worm farm from scratch. You should let the food sit in the worm bin for a week or two before you introduce the worms to their new home. This allows the food to break down and turn into a partial gel like state. The worms do not eat the food. They eat the tiny microorganisms that eat the food. The soil contains these tiny microbes that will help to break down this food faster than if the food just sat their alone. I add only about a tablespoon or so all over the food. If you don't add soil to the worm bin then that is okay. The worms contain all the necessary microbes within their gut and it'll spread throughout the bin and all over the food source. 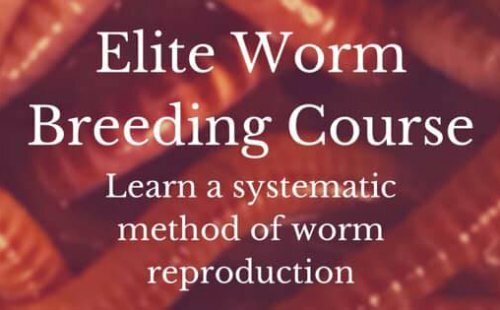 Just understand that it is important to make the worms feel at home the very moment you introduce them to their new habitat. This means having the food in a ready and edible state. The red wiggler (Eisenia Fetida) is by far the best and most popular worm. The European Nightcrawler(Eisenia Hortensis)is a good worm to but a little more picky. It is also a fatter worm making it great for fishing. But for beginners I definitely recommend the Red Wiggler as it is THE MOST forgiving of all red composting worms.